Welcome to Season 3, Episode 2 of The Simply Scary Podcast, with your host, G.M. Danielson. Turn off the lights, and turn on the dark. This program is intended for mature audiences, and may contain strong language, adult themes, and content of a violent nature, which may not be appropriate for everyone. Listener discretion is advised. 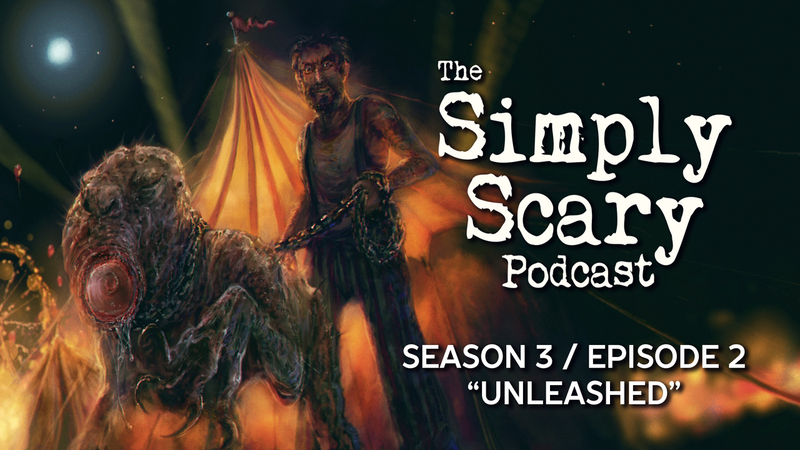 In this episode of The Simply Scary Podcast, we bring you four terrifying tales, from authors P. Oxford, Meagan J. Meehan, Phil Zona, and Patrick Zac, concerning unsavory smells, unusual pets, suspicious spouses, and sins that cannot be concealed. “The Purge: Acts I – III” by Craig Groshek. Performed by Jason Hill, Otis Jiry, G.M. Danielson, Jesse Cornett, Olivia Steele, Jonathan West, and Adam Koot-Bascomb. Sound design by Craig Groshek. “Rats” (originally entitled, “Some Smells Shouldn’t Be Ignored“) by P. Oxford. Performed by Heather Thomas, and featuring Nikolai Porter, Ryan Borses and Joe Walz. Sound design and original music by Felipe Ojeda. 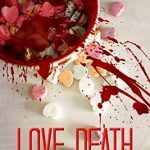 The above tale by P. Oxford is also featured alongside tales from 16 other talented authors in the horror anthology, Love, Death, and Other Inconveniences, now available on Amazon.com. “Surrogate” by Meagan J. Meehan. Performed by Christopher Keegan, and featuring Kristin Holland and David Tyson. Sound design by Felipe Ojeda. Original music by Luke Hodgkinson. “Flick” by Phil Zona. Performed by Barry Bowman, and featuring Jordan Lester and Jason Hill. Sound design by Felipe Ojeda. “No Eyes, No Ears, No Mouth” by Patrick Zac. Performed by Lucas Webley, and featuring Brindolyn McNair. Sound design by Chazz Ravenelle. A NOTE TO LISTENERS: The episode available here is ad-supported. To access this and other episodes of this program ad-free, sign up to become a Patron today at Chilling Tales for Dark Nights. 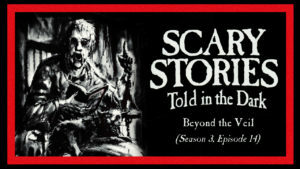 In our Patrons-only members area, you’ll get access to high-quality, downloadable MP3 copies of all of our podcast episodes – totally free of advertisements – plus access to hundreds of stand-alone audio horror productions dating back to 2012. You’ll also be helping to support this program and the team that bring it to you every week. Thank you for your support!